Bebo couldn't hold her excitement back! The Veere Di Wedding team have been promoting their film every day, which leaves them little time to spend with their family. During the promotions on Thursday, Kareena Kapoor Khan had surprise visitors at the Mehboob Studios, Bandra. Son Taimur and hubby Saif Ali Khan! Kareena was delighted to see Taimur (we are too :))). 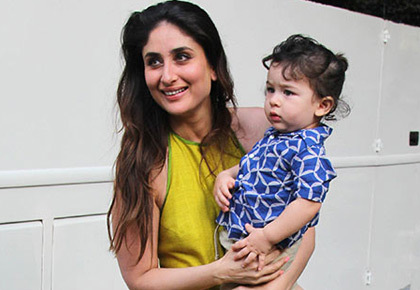 Bebo poses with the little nawab. She then changes into denim separates. 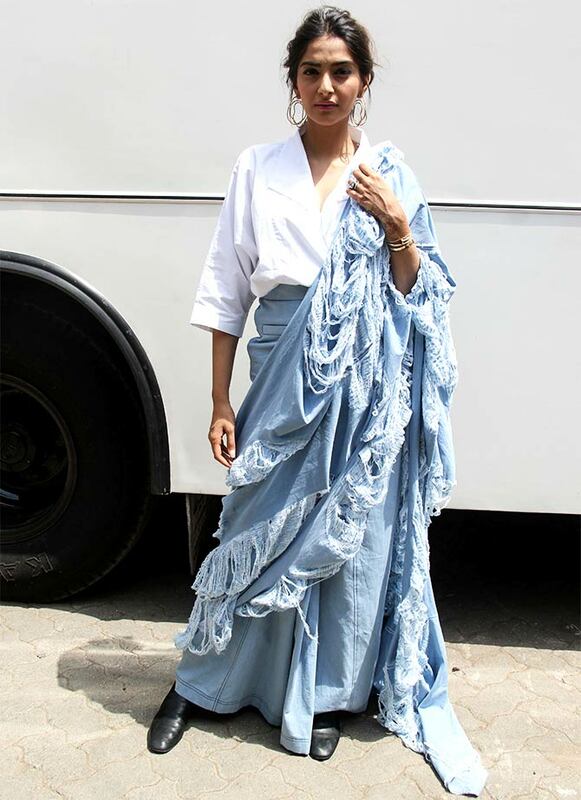 Sonam Kapoor shows us a different way of wearing denims. Sonam was then spotted in a printed skirt and crop top. Swara Bhasker's fashion game is going strong. 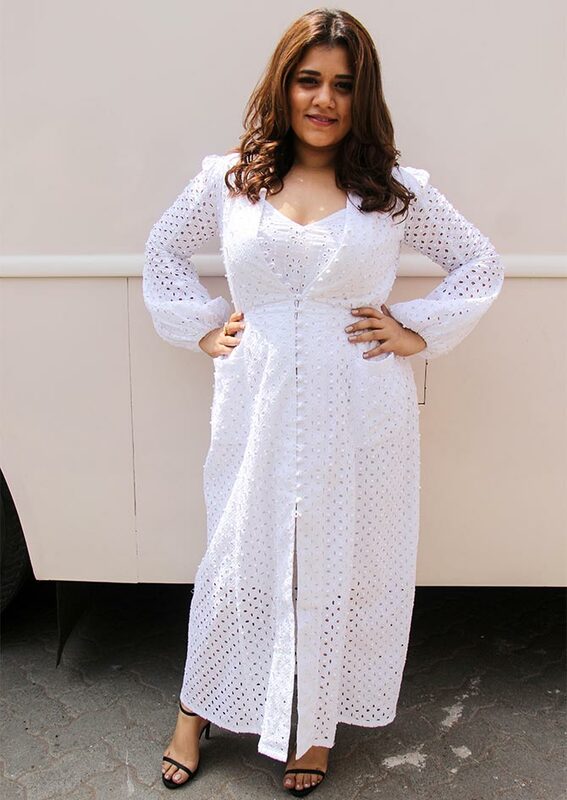 Shikha Talsania looks adorable in an all white outfit. Madhuri Dixit Nene at the launch of the dance reality show, Dance Deewane, where she is one of the judges. 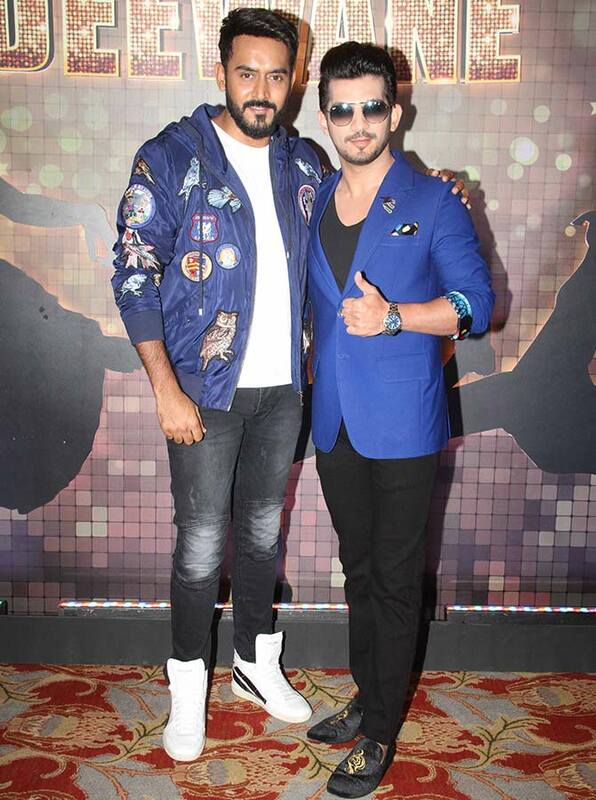 Director Shashank Khaitan, another judge, with the host, Arjun Bijlani. Choreographer Tushar Kalia is the third judge. 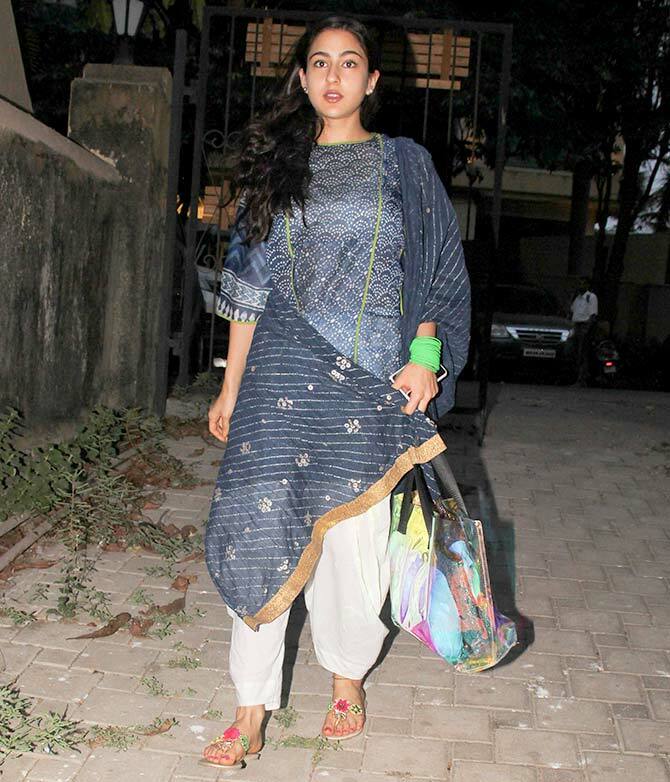 Sara Ali Khan snapped after dance class. 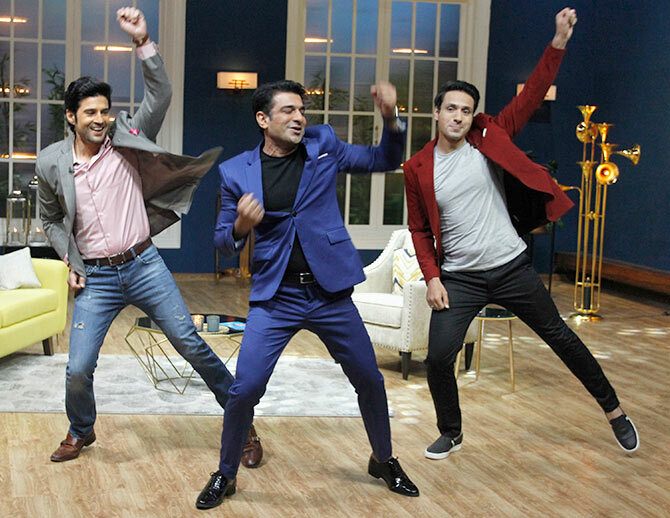 Rajeev Khandelwal, left, who hosts Juzz Baat, matches steps with Eijaz Khan and Iqbal Khan. Rakhi Sawant and Arshi Khan on Juzz Baat. What are Sonam, Kareena, Swara, Shikha up to?